My co-worker is out of town this week on a "Diva vacation". 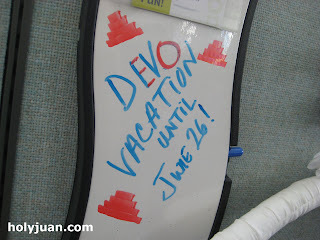 I'm not sure what a Diva vacation is, but it in now way shape or form is better than a Devo vacation. Little does she know how much EXTRA fun she's having now. WHIP IT GOOD!